Share your ideas for what game would be not too trivial, and not to complex to base my upcoming complete-game-from-scratch tutorial set. 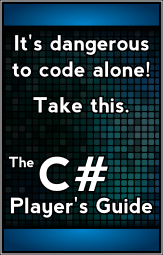 I'm nearing completion on my C# book, and my next step is to build a complete set of tutorials that show you how to put everything together and build a complete game from the ground up, using XNA. I'm doing this because over the months and years, I've gotten tons of requests for this, and it's about time I do it. To do this, I need to pick a game. I can easily imagine in the future, doing this with more than one game (2D, 3D, platformer, maybe even something more complex like a simple RPG) but for now, I'm going to need to pick one and only one to start with. So my question for you is what kind of game would be the most beneficial to you? My goal is to find something that isn't trivial (like Tic-Tac-Toe or Pong might be) but also isn't overly complex. After all, I need to be able to finish the tutorial set eventually. (Some overly complex examples would be a World of Warcraft clone, or heck, pretty much any MMO, RPG, or even your average FPS or RTS game.) Realistically, it will probably need to be something along the lines of an arcade-type game, but I'm definitely open to suggestions. My current ideas are things along the lines of Asteroids, Missile Command, or Space Invaders. Does anyone have any thoughts on any of those, or any suggestions for anything else? Hmm… that's interesting. I hadn't really thought about a sports related game. I think this one might actually be more complicated than my initial suggestions, because it would involve a fair amount of AI, physics, and probably a multi-player aspect. On the other hand, all of those subjects are things I get a lot of questions about too. I also had someone suggest doing this with a card-based game, which definitely has merit as well. Card-based games are fundamentally different than a game like Asteroids. They're turn based, and much of the work will boil down to how to best display a pile of cards so that they're easy to work with, without becoming so different in appearance that it no longer feels like their real world counterpart. The card-based games he mentioned would probably also require a significant AI component as well. I actually have a hard time convincing myself that a card-based game is ideal for the first complete game tutorial set. To me, it seems like it would be better suited for a second or third one, but I could be convinced otherwise, if a lot of people would like to see it. Honestly, a sports game sounds like a great idea. 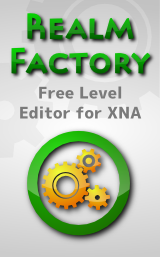 It's difficult to find information on the genre, especially XNA related. Plus a sports game has lots of flexibility compared to other genres. You could have RPG elements to it, like a players skill set increasing over time, it could be turn based and strategy is always an element of any sport. I'd like to see how the AI and the physics work in, let's say a hockey game. And you could always cover things like contract negotiations, trades, line ups, different modes and less fun things like the math involved. There are tons of options with a sports game, all of which could be useful in other genres as well. Classic BBC Micro game. It doesn't come up as often as Space invaders, Breakout, or asteroid, but has gravity, physics and collision detection. That's one I had never heard of, but I kind of like it. It's like a cobination of Asteroids and Lunar Lander, but with enemies, a pod, and a reactor. One thing's for sure, I'd also want to show the creation of a level editor to design levels for it. That complicates things quite a bit, but is still a worthwhile exercise to do at some point. I would love to see how a level editor is made and used. I have Realm Factory, but I don't understand how to use it yet. At first I was thinking that a platformer would be nice, but might be a bit too much for a beginner. So maybe a side scrolling shooter like R-Type or Gradius would be nice. It involves all of the things people would like to know such as making a scrolling level, introducing basic movement, and implementing powerups. A very bare-bones RPG might work too. It would involve stuff like switching in and out of battles, randomly generating them, as well as interacting with npcs. Also remake of X-COM (UFO: Enemy Unknown) would be great learning process. Have you heard of UFO: AI? It's an open source, completely free, XCOM style game, maybe even better than XCOM and there's a map editor for it. I just looked into X-COM. I never even heard of that game. I don't know why or how. That seems like the kind of game I would have loved! I've gotta say, though, that it looks… pretty complex. The first set of tutorials that make a complete game from scratch (maybe only, but hopefully not) probably has to be much simpler, like Maximo said. But I'm going to have to check it out. It looks like they're putting out a remake in a couple of months! What about game: Commander Keen. Hmm… this one's kind of interesting. I once owned a game called Battle Masters, which feels like a medieval/fantasy version of Memoir 44. Is it just a board game, or is there a computer-based version as well? I think I agree, it's not as complicated as it first looks. I'm still a bit concerned though. I think it would be really fun to do, but it may be pretty complicated for this tutorial set. I've got a friend who loves games like this, though. I'm going to have to go get him to buy it so I can play it! There is online version available via Steam platform or directly via web browser. Maybe a tower defense game? Actually, a tower defense game is probably along the lines of the level of complexity that I'm shooting for in this tutorial set. I love all of the ideas that are coming in, but with most of them, I'm worried about complexity and copyright issues. Tower defense games are generic enough that we could come up with some sort of intelligent theme and roll with it. It's definitely worth considering. Thanks! Also easy and very cool game is haxball. It would be good for networking tutorial and AI tutorial. Hmm… I like how simple that looks, but I'm intentionally not going to get into networking stuff in this tutorial. Later on, I'd like to make several more tutorials about networking and AI as well, but I want to keep networking out of this set and keep the AI to a relatively simple level. But this one is a good idea, and worth keeping in mind for when I get to networking later on. Keep the suggestions coming, Maximo! For keeping the spirit of your tutorials with space ships, a F-Zero-like game would be awesome and would involve 3d model rendering, effects, physics and collision, after maybe it's also too complex. Why not a zombie killer game also? first of all , thanks a lot for all the tutorials ! complete game : what about atari battlezone ?